K and L cares for the finest to the most basic rugs from around the world. 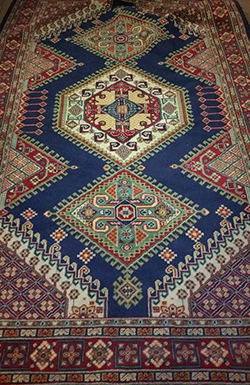 We will pick-up and bring your rugs back to our special cleaning facility where they will go through our thorough cleaning process for maximum soil and spot removal. Having your rugs cleaned in our facility allows us to give them several treatments, if needed, with both sides cleaned, controlled drying and the use of various specialized equipment. Our knowledgeable staff is available to answer any of your rug cleaning questions. Pick up and delivery service can be arranged around your schedule. Call us today for your free estimate.